I’m going to have to credit a Cardinals blog with the assist on this one. Alright, before you start with the ‘I don’t buy it’ business, remember that Berthiaume is way more connected than you or even I. I do buy it. Look at the money the Reds gave Votto. 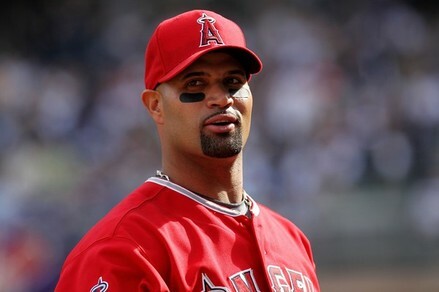 I think there were rumblings in the Reds front office about going after Pujols. And I think that Walt Jocketty used Pujols as a way of convincing Bob Castellini that the Reds could write a contract like this up to begin with. When the Reds missed the mark of how much Pujols wanted, those numbers still worked for the guy already under contract and all the Reds needed to do was change the name written on the deal. A right handed hitter like Pujols helps the Reds more than Votto does.